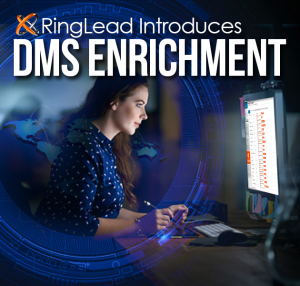 MELVILLE, N.Y., March 1, 2018 (Newswire.com) – RingLead, a decade-old data management provider protecting and enriching more than 300 million records worldwide, today announced a disruptive data intelligence solution, DMS Enrichment, designed to integrate with and extend the value of RingLead’s end-to-end platform, Data Management Solutions (DMS). DMS consolidates all core data management processes, from lead generation and data deduplication, to data protection and enrichment, into a single unified SaaS platform, enhancing the effectiveness of CRMs and Marketing Automation Systems like Salesforce, Marketo, SugarCRM, and Pardot. Architectured to empower businesses with complete, comprehensive views of customers and buyers, DMS Enrichment fuels sales and marketing with personal and company data like direct dials, verified email addresses, social links, mobile phone numbers, company size, location, and revenue.